Proprietary Name: Sinus And Allergy Pe What is the Proprietary Name? Non-Proprietary Name: Chlorpheniramine Maleate And Phenylephrine Hydrochloride What is the Non-Proprietary Name? 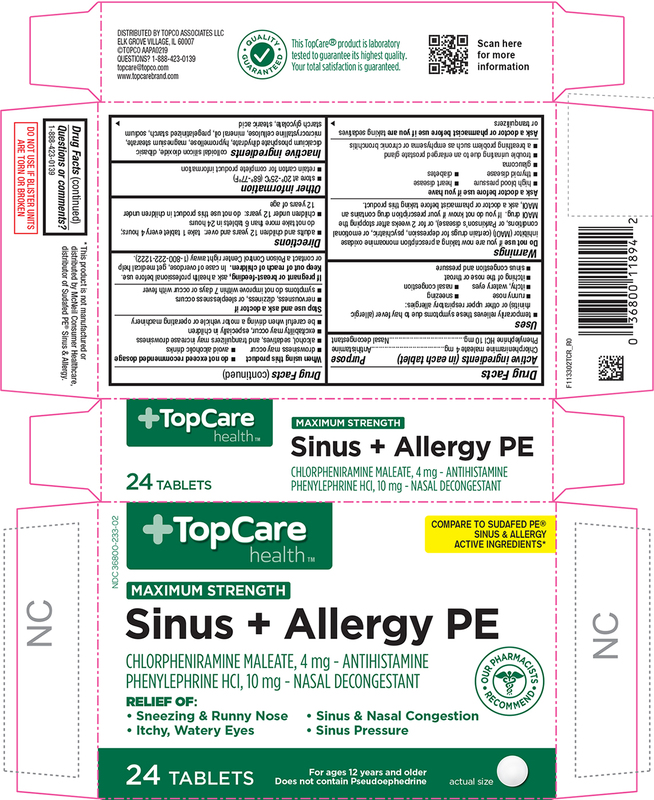 Sinus And Allergy Pe with NDC 36800-233 is a a human over the counter drug product labeled by Topco Associates Llc. The generic name of Sinus And Allergy Pe is chlorpheniramine maleate and phenylephrine hydrochloride. The product's dosage form is tablet, coated and is administered via oral form.